B2C marketers have skewed too far towards activation-based advertising in the face of digital and should reset the balance firmly towards brand building if they want to build growth. 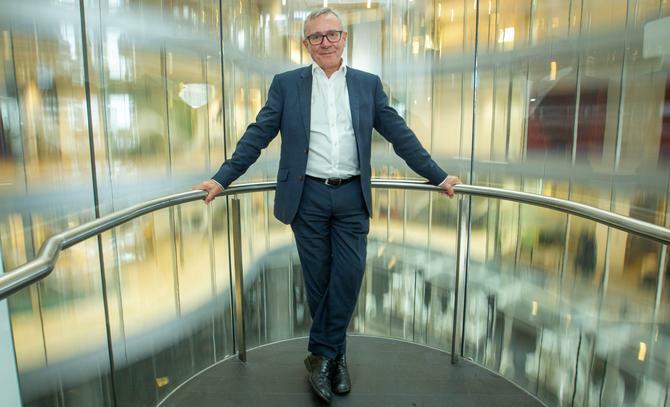 That’s the view of Adam & Eve DDB head of effectiveness, Les Binet, who has spent many years studying the effectiveness of advertising in partnership with Peter Field, a fellow UK-based marketing expert. Binet is in Sydney this week for the Agency Leaders Symposium and spoke to journalists about his ongoing and latest research, forthcoming book, Effectiveness in Context, and insights at a briefing organised by Australian TV lobbying and research group, Think TV. Binet and Field’s research points to two types of marketing: Sales activation, which delivers short-term sales volume; and brand building, which leads to long-term growth and margins. Consumer-oriented brands need both forms, Binet said, noting the optimum balance today sits at about 75 per cent brand and 25 per cent activation. What might surprise marketers is this optimal ratio has skewed even higher towards brand building in the digital age. Binet noted 2004-2016 figures pitched the optimum balance to be 60 per cent brand and 40 per cent activation, up from 55 per cent / 45 per cent in 1998-2010. These figures are published by the IPA Databank. What’s contributing to the rising importance of brand building is digital technology, according to Binet. “The digital revolution is tending to leading to increased activation efficiency and so a higher proportion should go to brand. It seems paradoxical, but what’s happening in the digital world means you need to build that brand even more,” he said. Binet explained sales activation style marketing is about growing physical availability, and is best served by tight targeting and relevant messages. In contrast, brand building is about increasing a consumer’s mental availability for your brand, and is driven by broad reach, emotions and associations. Of course, there is some differences in the way consumers respond to advertising depending on the goods and services being purchased. Higher levels of involvement in a purchase, for example, means brands don’t need to spend quite so much to generate growth, Binet said. The level of product innovation and price advantage play a role as well. “The nature of the purchasing mechanism affects things, too. For instance, brands that sell via online distribution channels or use subscription… those brands don’t need to spend quite so much on advertising in order to grow because they have those extra efficiencies,” he said. The problem is too many marketers are being driven by short terminism and not investing enough in broader, emotive-style advertising that drives brand, Binet said. UK numbers suggest spend today sits at about 50/50, rather than the 75/25 ratio recommended by the research. Rather than lay the blame at shortening CMO tenure, Binet claimed it’s the technology and data-driven metrics driven out of digital that fuel a misguided emphasis on sales activation over brand. Attribution modelling adds to this problem. “There is this feedback loop where if you’re evaluating things with short-term metrics, it makes you do short-term things, and that’s a problem,” he said, agreeing difficulties in measuring traditional media have added to the challenge. With cookie data out of date in as little as a week, it’s also very difficult to see impact over a longer period, such as two years, Binet said. “The attribution methodologies and data are pointing you to short term. That’s leading marketers off track,” he said. What’s more, Binet also saw an issue with being too targeted in your market approach. “The problem is there’s no shared, communal set of assumptions about what a brand stands for. I think that is a problem. To some extent, brands are social constructs,” he added. As an example of brand building, Binet noted UK department store, John Lewis, and its highly emotive, story-led Christmas TV campaigns. These remind people about the brand and build an emotional connection. This ensures that when people come to do their Christmas shopping, they will be inclined to go to John Lewis, he said. Activation-based activity then does the hard selling job and could involve paid search or programmatic advertising for specific products. In the case of John Lewis, this could include a direct link to its website, Binet said. And this is also where one-to-one and targeted advertising plays its most important role. For Binet, the idea the whole of marketing should move to one-to-one engagement is “nonsense”. Based on his research, Binet suggested video content as one of the strongest mechanisms for branding building. He also claimed the combination of traditional TV with next-generation video is the best brand building combination of all. According to Binet and Field’s research, using both TV advertising and online together results in 2.4 times the effectiveness than just one or the other. In addition, the research shows mass media channels, such as TV, press, radio and outdoor, have all gained effectiveness in the Web 2.0 era.